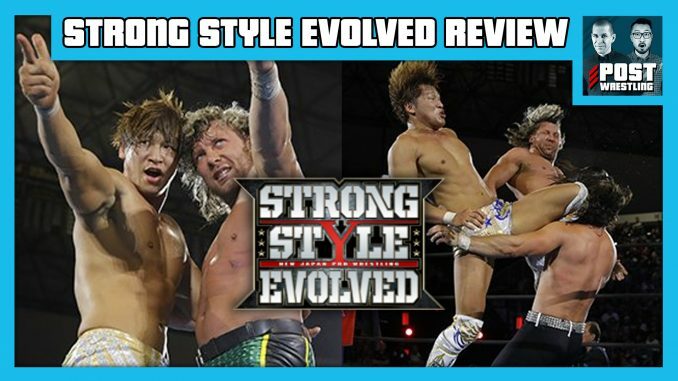 John Pollock and Wai Ting review NJPW Strong Style Evolved from Long Beach, CA featuring The Golden Lovers vs. The Young Bucks, one of the more emotional wrestling matches we’ve seen in recent memory. We also discuss the strengths and disadvantages of the AXS TV production featuring Jim Ross and Josh Barnett, Jay White vs. “Hangman” Page, Minoru Suzuki/Zack Sabre Jr. vs. Kazuchika Okada/Tomohiro Ishii, Will Ospreay vs. Jushin “Thunder” Liger, an appearance from Rey Mysterio and more. Plus, Dan “The Mouth” Lovranski and drops by with a live report from Long Beach and your Café feedback from the POST Wrestling Forum.